Martin Gilbert, co chief executive officer of Standard Life Aberdeen has stepped down from the position, giving sole responsibility to Keith Skeoch, effective immediately. In the group's results for the full year to 31 December 2018, it was announced Gilbert would become vice chairman of Standard Life Aberdeen and chairman of Aberdeen Standard Investments. Gilbert had been chief executive of Aberdeen Investments since he co-founded the company in 1983. Following the merger with Standard Life in 2017, he became co-CEO alongside Keith Skeoch. Skeoch will now be sole chief executive from today. Chairman Sir Douglas Flint, who took over from Sir Gerry Grimstone in 2018, said: "The board has unanimously approved the dissolution of its current co-chief executive structure. Keith Skeoch has been appointed sole CEO. 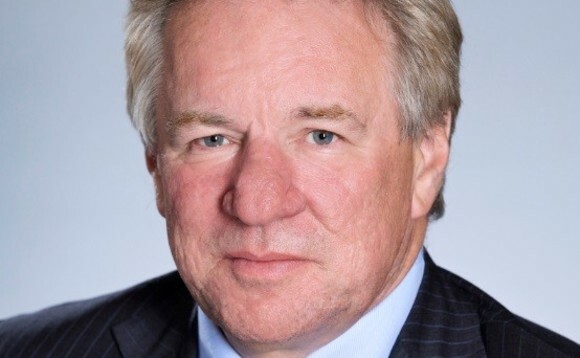 "Recognising the critical importance of his client facing responsibilities, Martin Gilbert becomes vice chairman of Standard Life Aberdeen, Chairman of Aberdeen Standard Investments and will continue to be an executive director of the board. "In this role, Martin will be able to focus solely on our strategic relationships with key clients, winning new business and realising the potential from our global network and product capabilities." The group said the co-CEO arrangement had always been temporary and that the integration process which is currently at 75% and six months ahead of schedule, felt like the natural time for the restructure. Gilbert added he had suggested Keith be sole CEO as the joint structure was a "distraction both internally and externally". "Martin has always had a strong relationship with clients over the world and we wanted to leverage that," said Flint. "The vice chairman role gives him more time and capacity to build on that. Meanwhile everything else rests with Keith. This is a natural evolution that plays to the strengths of two indiviuals." It was also announced that Bill Rattray, chief financial officer and non-executive director, will retire from his role at the end of May after 35 years first at Aberdeen Investments, and then Standard Life Aberdeen. He will be replaced by Stephanie Bruce subject to regulatory requirements and a shareholder election in May. Commenting on whether or not there will be further staff changes, Skeoch said "there is no change to anything we have said previously". Meanwhile, last year saw the creation of a strategic partnership with Phoenix (after selling its UK and European insurance operations to it) and new joint venture with Virgin Money/CYBG to create a UK retail savings 'eco-system' with access to 16 million potential customers, while the group said there is still scope for further partnerships. The results said: "The sale of our UK and European insurance operations for £3.3bn to Phoenix on 31 August 2018 completed our transformation to a fee based capital-light business. "We received cash proceeds of £2.3bn and generated an IFRS gain on disposal of £1.8bn. In addition to the cash proceeds, we also received a 19.98% stake in Phoenix which allows us to benefit from Phoenix's future profitability and growth. As a result of the sale we have classified the UK and European insurance business as a discontinued operation."